When we conjure up mental images of leaders we often think of those who are in front of a crowd. Demanding to be heard. 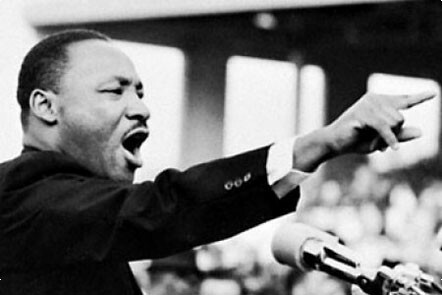 Like Martin Luther King, Jr and his inspirational I have a Dream speech. Or Steve Jobs and his iconic Apple Inc. product launches. But what about the quiet leader? Is that an oxymoron, or can the words quiet and leader, in fact, occupy the same space? I think they can. But, what does it mean to be a leader who is quiet? And what’s to gain? Quiet: An effective leader removes all distractions, both physical and emotional, in order to listen to others and themself. Doing so enables clarity, inspiration, and motivation. But, why was my desire for solitude so strong? Before you answer that and box me into a corner, let me explain that I don’t fancy myself an introvert. But, I wouldn’t blame you for thinking that because I know that many of us associate introversion with the desire for quiet time. And rightfully so. It is generally accepted that introverts seek out and greatly value their quiet time. (I know because I asked a few). But, why? Well, in my experience, your classic introvert has a very rich internal life, one they happily lean into when things are quiet. They take super advantage of that time to think, create, strategize, dream. I call this super secret skill “shh time”, though it isn’t such a secret to our introverted friends. They know all about it. They get it. In my opinion, the best leaders take advantage of “shh time” regardless of their intra-or extro-verted preferences. Let’s face it, leaders can’t be out in front one hundred percent of the time. Those who are may not be the most effective at leading. And, also, they may be a little exhausted. How? Make purposeful time in your day for inward reflection. Close your door. Block your calendar. Walk your dog. Take a long drive in your car. Whatever works for you, just shut things off and out and see what happens. You may achieve a little self-awareness and understanding and discover some previously undiscovered insights. Most of all, you may experience that unfamiliar, yet oh so sweet, feeling of calm. How? When having conversations with others, put down or silence your phone, turn off your computer, make eye contact. Really stop. Really look. And really listen. Of course, that part isn’t always easy. Trust me, I know. The hard part is fending off that pesky thought-bubble that is quickly filling with questions and comments that must be shared at all costs! You can’t stop the bubble from forming; that’s involuntary. But you can pop it. That’s an active choice. So, pop that bubble and give others your heart and your undivided attention. I’m exhausted from not talking. Being quiet with others can also be about absence. Meaning, by being silent it allows others the opportunity to explore and accelerate their own talents. Maybe they will trust their instincts and solve a problem or two all on their own. 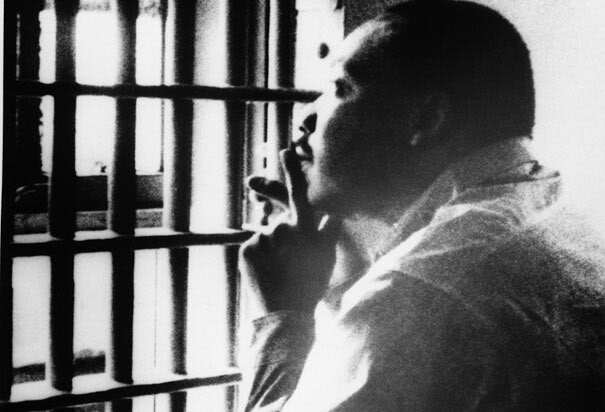 Even though we tend to remember great leaders like Martin Luther King, Jr. and Steve Jobs in times when they were out in front, we should try to picture them when they were behind the scenes being very very quiet. I’m just sure it was in those “shh times” when the true magic of their leadership happened. When was the last time you led quietly? Try it. See what happens. Lead by Mind, Body & Soul. Never ask someone do to something that you have not set the example for all to follow!